Lilly emerged on the barbecue scene in 1992 when he began working for the world-famous Big Bob Gibson Bar-B-Q restaurant in Decatur, Alabama. Recognized by The Wall Street Journal as having the best pork barbecue in the country and named the “Best Barbecue Restaurant in Alabama” by The Birmingham News. Lilly is also the winner of 15 World BBQ Championships in several barbecue categories and a record four Memphis in May Grand Championships (2000, 2003, 2011, and 2014), as well as winning the American Royal International Invitational Cookoff. Lilly was able to display his culinary talents abroad by capturing the Grand Championship at the International Jamaican Barbeque Cook-off. In 2012, he won the title of “King of the Smokers” at a national barbecue Invitational. Widely recognized as one of the top pitmaster/chefs in his field, Lilly is a 2016 inductee into the Barbecue Hall of Fame. 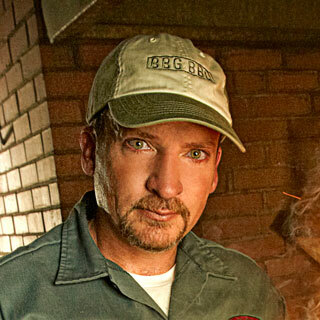 Lilly is the current vice president, executive chef, and partner of Big Bob Gibson Bar-B-Q, among his many other titles. If I’m close by the cooker and within the smell zone, my waking first thoughts go directly to the meat. With one smell, an experienced pitmaster will know how well their meat fared on an overnight cook. Although much of my work is done in the restaurant pitroom, my favorite place to barbecue is outdoors. Whether in the backyard or camping with friends and family, the outdoors is the most meaningful place to spend time at the grill. If I could do anything better it would be to improve my duck calling. This may seem crazy coming from a pitmaster, but I’m an outdoor guy. Indirectly, wouldn’t that improve my duck cooking skills? My heroes are all those true pitmasters who have dedicated their life to shoveling coals in the BBQ shacks and shanties all over the South. They might not get the accolades and the national publicity that some “cooks” do, but you better believe that everyone in their area knows where to get the best barbecue. Time is too valuable to hate what you do. Barbecue and outdoor cooking slow the pace of time and make moments more enjoyable. You see, barbecue is the Fountain of Youth! I love the resounding gobble of an old tom that splits the crisp spring air at sunrise. If I wasn’t a pitmaster and YETI barbecue ambassador, I’d be a YETI hunting ambassador! If I could have anyone in the world hanging out with me by my outdoor cooker, it would be Clint Eastwood. I bet he could tell some good stories around the fire. What I hope to accomplish in my lifetime is to pass down the art of barbecue to my children, who are fifth generation pitmasters...a work in progress. Lilly is also the winner of 16 World BBQ Championships in several barbecue categories and a record five Memphis in May Grand Championships (2000, 2003, 2011, 2014, and 2017), as well as winning the American Royal International Invitational Cookoff. Lilly was able to display his culinary talents abroad by capturing the Grand Championship at the International Jamaican Barbeque Cook-off. 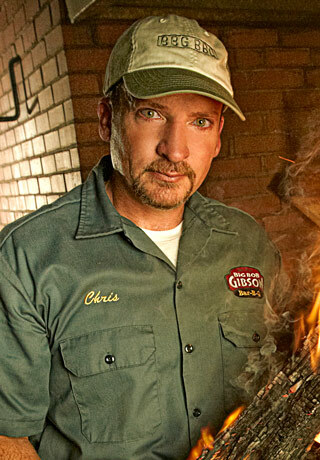 In 2012, he won the title of “King of the Smokers” at a national barbecue Invitational.